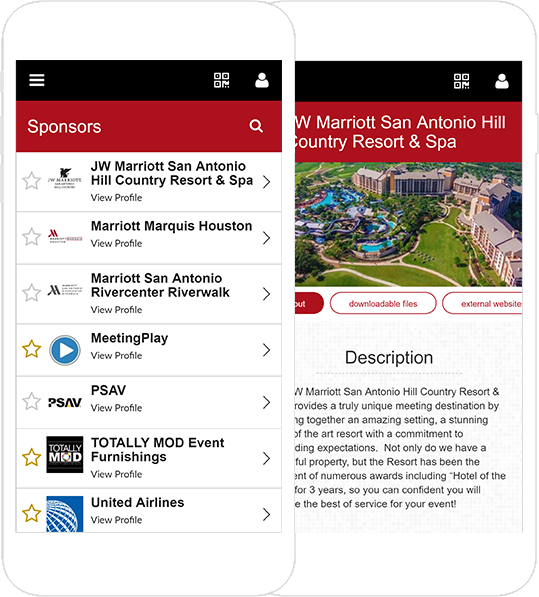 With the MeetingPlay mobile event app, you can showcase your sponsors through branding opportunities and audience engagement. And we can offer ideas to help monetize your event with exclusive sponsorships and sponsorship packages. Sponsors have their own custom pages within the app featuring their websites, videos, additional information, and downloadable assets. Sponsors have unique branding opportunities through the app, which can be incorporated in gamification efforts to drive attendees to the sponsors’ custom pages or to visit the sponsors in exhibit halls. Offer paid prime real estate for sponsors, from sponsor listings to more robust advertising placements. Allows sponsors to customize their brand presence within the app and eliminates the need for meeting planners to customize content for each sponsor. Allows sponsors to manage and maximize the leads they make onsite. 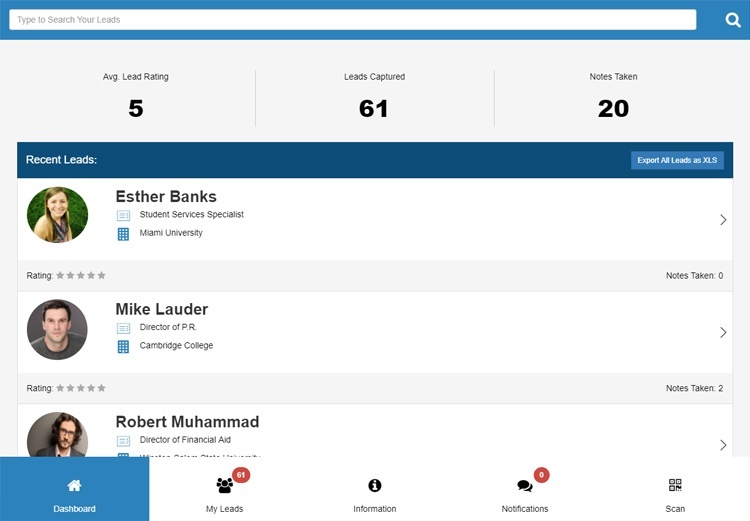 Once a direct connection is made utilizing the in-app QR Code scanning feature, exhibitors can rank, take notes, favorite, and connect directly on LinkedIn. 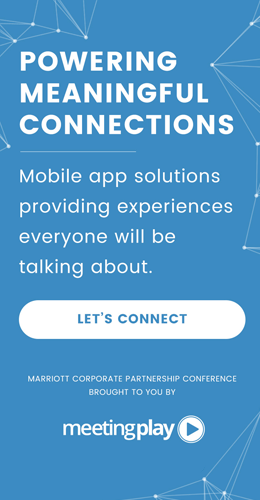 In addition to tracking leads received, utilizing iBeacon Technology and wearable beacons, MeetingPlay also reports on attendees who visited an exhibitor booth, even if there was no real-time connection made. 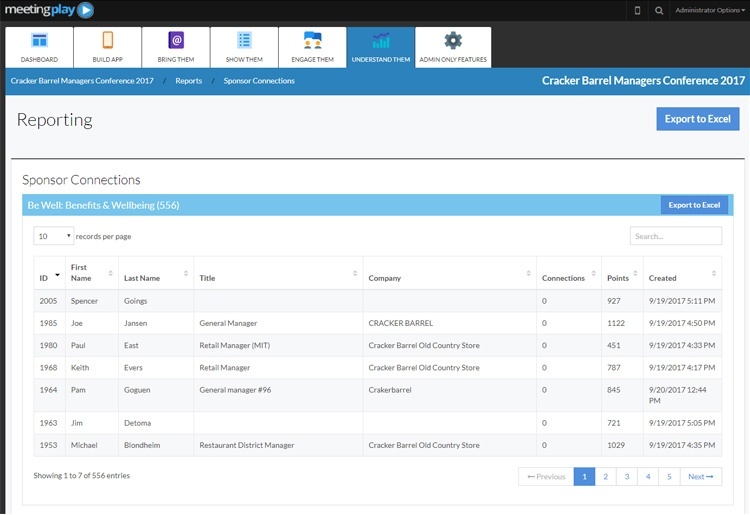 All reporting is done real time in a cloud based system that be accessed anytime (onsite or off).